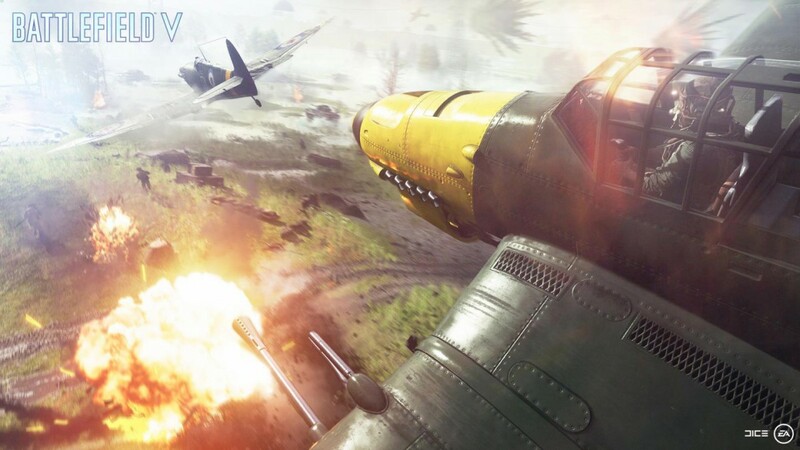 EA has just released the Open beta of Battlefield V and the latest first person shooter is based on the Frostbite engine and features a lot of wide open-world spaces to explore. Our friends over at Guru3D have performed some preliminary benchmark results, testing the most popular resolutions such as FullHD, WQHD and UHD. During the past days, EA has revealed the minimum and recommended system requirements. According to the software house, you need an AMD FX-8350 or Intel Core i7-4790 processor, 16GB of RAM and either a Radeon RX 480 or NVIDIA GTX 1060 3GB graphics card for smooth gaming. At the moment Guru3D has tested sixteen graphics cards and the results obtained are pretty interesting. All the benchmarks have been performed with ultra settings with everything at the highest possible quality mode. According to the benchmark results, the mainstream GeForce GTX 1060 offers a very healthy framerate in FullHD resolution with ultra settings. At the moment the framerate isn't stable since there are drops from 75 to 40 FPS. With WQHD resolution you need at least an AMD Radeon Vega 56 or a NVIDIA GeForce GTX 1070. Both cards average a bit over 60 FPS. If you have a UHD display we have a bad news for you. At the moment the GTX 1080 Ti and the Titan Xp aren't able to maintain a constant 60 FPS. If that is what you desire you might have to wait for the RTX 20 series cards. If you want try the Open beta, please make sure you have installed the latest compatible graphics card driver. You can find the Open beta on Origin. During the next hours we’re going to add some screenshots as well.